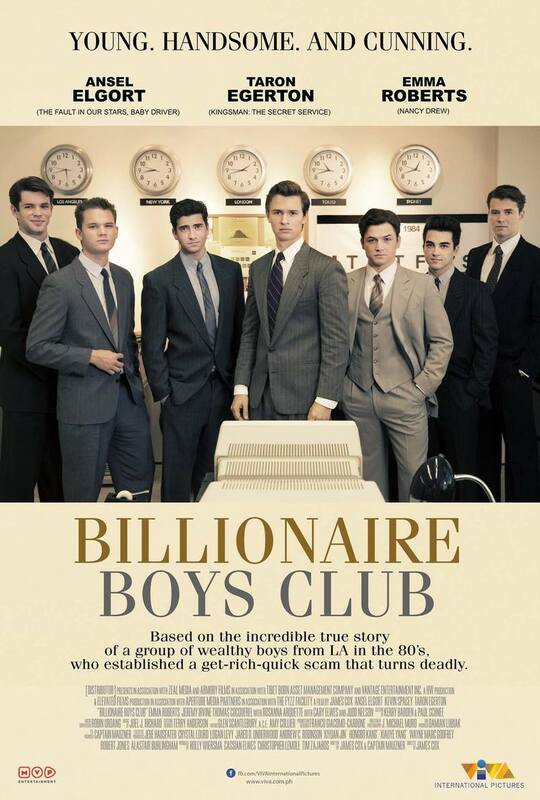 Billionaire Boys Club DVD release date was set for September 18, 2018 and available on Digital HD from Amazon Video and iTunes on July 17, 2018. This is a high-profile recounting of one of the most infamous Los Angeles crime cases of the 1980s. A group of spoiled, wealthy boys were unhappy about not having access to their family fortunes. So they come up with the idea of running a Ponzi Scheme to swindle investors out of their money and enlist experienced con man Ron Levin to help them sell their marks. When he turns up dead, police initially suspect one of Levin's old victims came back to settle a score. But as they investigate the case, they uncover a bizarre and unbelievable story that features some of the most respected families in Los Angeles.